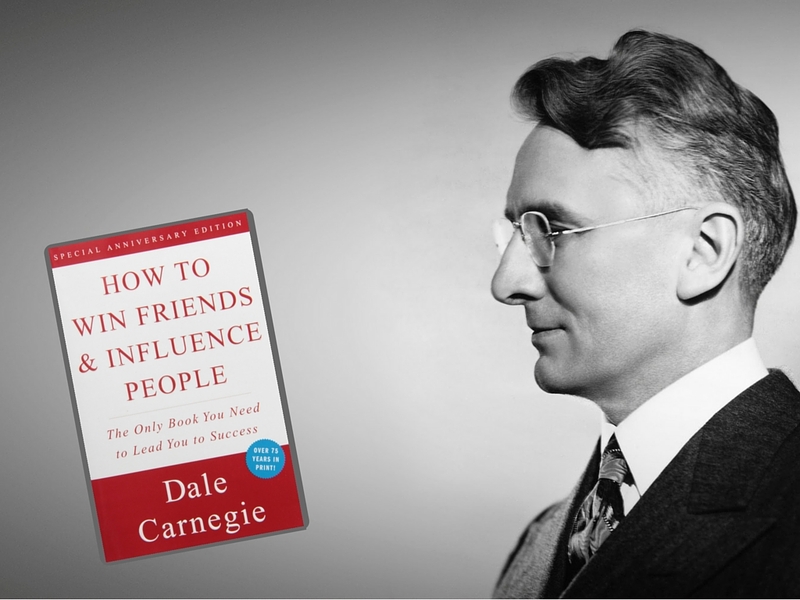 Many people looking for ways to make friends end up reading Dale Carnegie’s book “How To Win Friends and Influence People.” While the book is a classic and should be read by everyone, it isn’t exactly a “field guide” on how to make friends. So, is it still relevant? In this article, let’s look at a few aspects that do make it relevant – even today – and other aspects that make is less so. “Try honestly to see things from the other person’s point of view.” – This is key. Without the ability to see other people’s perspective, you’ll never have as much social ability as you would want. If you do so, you can be much more “in-sync” socially and avoid being out of step. Many people break friendships just because they think the other person just can’t “get them.” Don’t fall into that trap. “Be sympathetic with the other person’s ideas and desires.” – These days, everyone has an opinion about everything. While you want to express your opinions just like everybody else – it’s important to respect other people’s too. No one is “wrong all the time…” they might just have different opinions than yours. It’s important to allow people to construct their own opinions on things, and respect them if they don’t match yours exactly. “Let the other person do a great deal of the talking.” – This is not necessarily something you want to do all the time, but getting others to talk is an important skill. This is especially true if you’re talking to someone for the first time. It’s important to not dominate the conversation – you want to be able to exchange conversation about things you have in common. “Make the other person feel important – and do so sincerely.” – Like I always say, be “responsive” to the other person when you’re socializing. Don’t keep a static attitude if they’re being emotional, and don’t underestimate what people are saying if they feel it’s super important to them. Don’t use dismissive body language – make sure your tone of voice, eye contact and body language display interest in what the other person is sharing. This is what makes people feel important. The book has emphasis on conversation skills and small talk – it is still important to this day, even if many people now think that small talk is too superficial to be relevant. I have written before on why small talk is still relevant today, and the book parallels much of the same information. Now, what makes it less relevant, is the lack of specifics. It doesn’t show you where to go, what to do, and specifically how to build a social life. There have been many scientific discoveries since then about loneliness, our social brain, and friendship. Naturally, the book, first published in 1936, lacks the most current information. The challenges of friendship today are different from back then… in today’s society our neighborhoods are set up differently – very few have “community areas” that encourage encounters with your neighbors. Not to mention the Internet makes it convenient to never have to leave your home to get any of your basic needs met, and people think the number of online friends they have is more important than having real-life connection and interaction. The book is definitely not relevant here. What about the title? “Winning” friends? “Influencing” people? Maybe you want to influence people in the professional world, but personal friends, you probably want to be much more spontaneous than that. The book puts lots of emphasis on how to be influential. Which is not bad, in itself, it’s just more like what you’d need in a sales or management situation, not how to be personally successful in your social life. It doesn’t explain how friendship works: what is friendship, what “ingredients” are needed, how you go from strangers to friends, how you keep friends, how to stay in touch with people, etc. The book was destined for sales, influence, and leadership more so than for making friends. He even talks about marriage! That’s too far off the mark from creating lasting friends. Friendship itself is worthy of books exclusively about it, it should not be mixed in with other subjects: It’s NOT like romantic love, it’s NOT like professional relationships, it’s NOT like mere contacts. It deserves an exclusive forum. How does “Get The Friends You Want” Compare to it? I wouldn’t say it’s in the same category. My aim, while writing it wasn’t to make the “definitive” book on the topic. Instead, it was about sharing expertise that was applicable directly in the real world. Dale Carnegie’s book inspired me way before I wrote my book, but it didn’t help in crafting my method for making friends and building a social life.